Happy Wednesday! 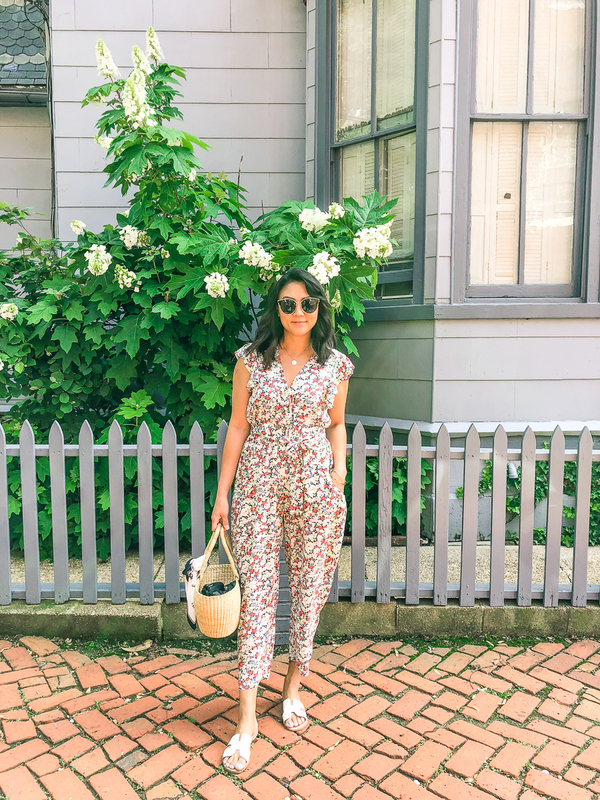 I can't believe I've been withholding this floral jumpsuit from you guys for so long! Shame on me. But it kind of worked out because it's now 30% off! 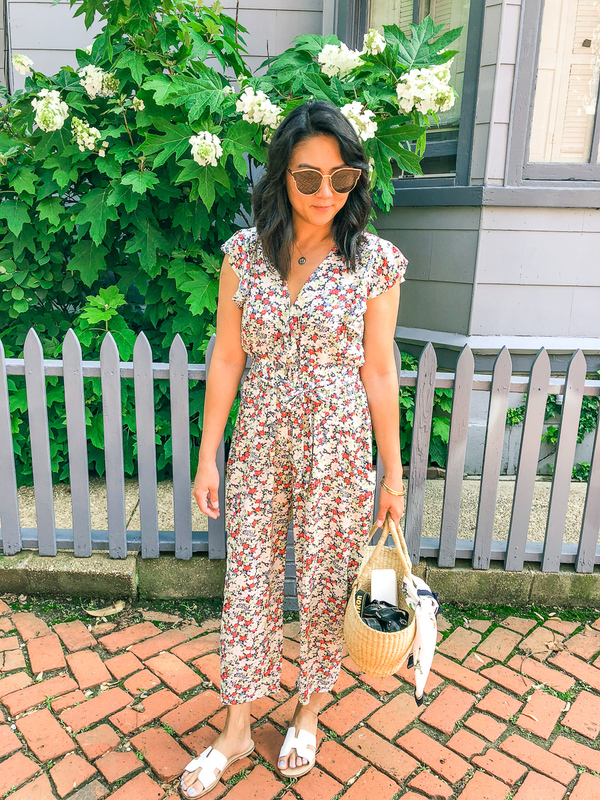 Use code resort30 to get 30% off your entire purchase including this jumpsuit. 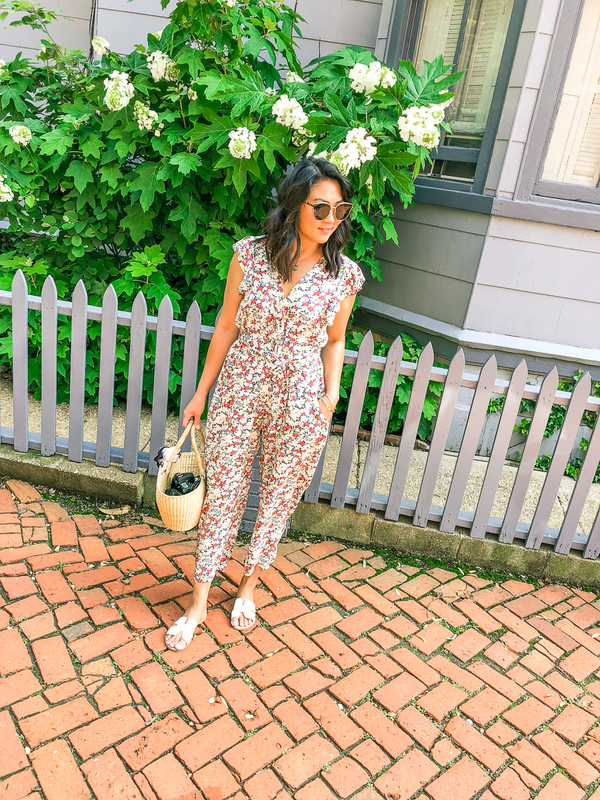 I've already got a few things in my cart including these mules and this jumpsuit. 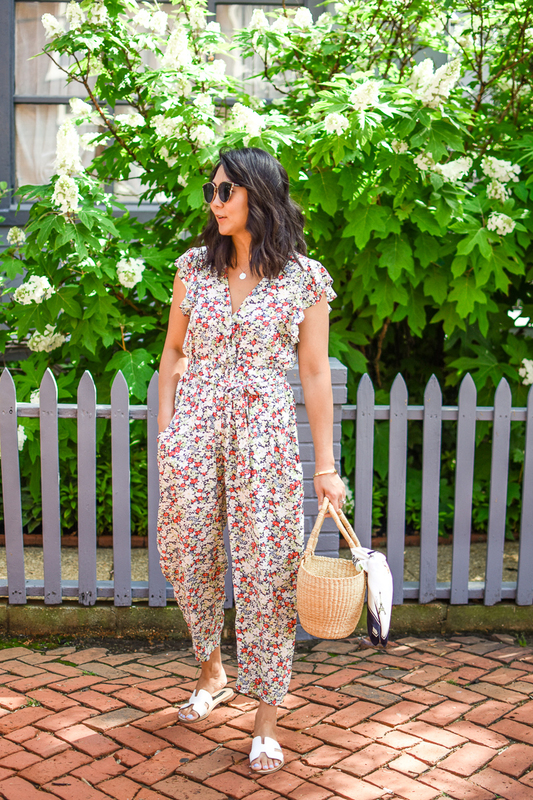 Anyways, getting back to this floral jumpsuit that is just the most easy thing to wear for any occasion or event for the summer. It's so comfy and the print is such a happy one. 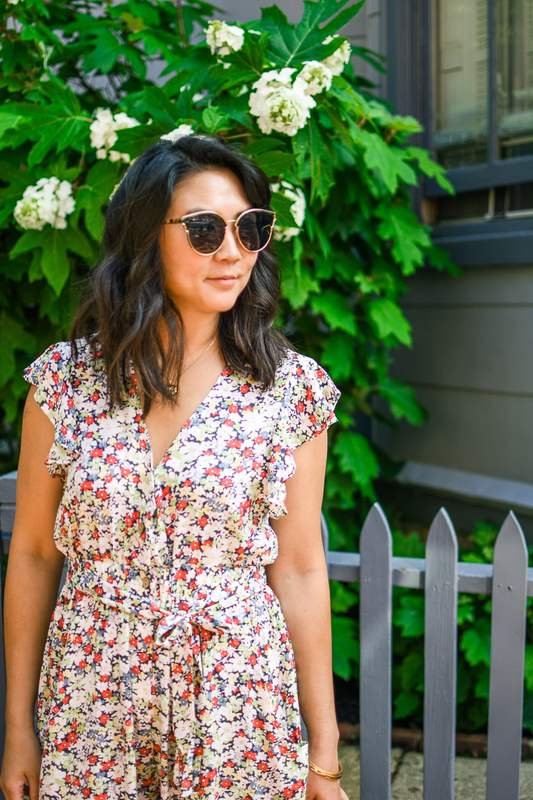 You'll pretty much be in the best mood when you wear it. I will say that it does run small so keep that in mind when ordering it. I am wearing a large and honestly cannot imagine wearing a medium. The large does gape at my armholes a bit but you can wear a pretty bralette underneath or a camisole if you're really worried. I know it can be a tad worrisome shopping online and not knowing how the fit will be or what the quality will be like. And I have to be honest, I was pleasantly surprised when I got my package that included this jumpsuit. I was sure the quality and sizing would be so off on it, but like I said, I was pleasantly surprised and will be continuing to shop at Goodnight Macaroon.